MEMPHIS, Tenn.–(BUSINESS WIRE)–Active Implants, a company that develops orthopedic implant solutions, today announced that Ted Davis has been appointed president and chief executive officer. Davis succeeds Henry Klyce, who will continue as chairman of the board. 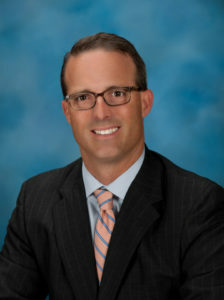 A current member of the Active Implants board, Davis has 25 years of experience in the life sciences industry as an investor and senior executive, including chief executive officer of MicroPort Orthopedics and president of its predecessor Wright Medical Technology’s global OrthoRecon division from 2012 through 2015. Prior to leading the carve out and integration of the OrthoRecon platform, Davis led Wright’s business development, corporate development and research & development functions from 2006 to 2012, with increasing responsibility for the business development, government affairs, national accounts, reimbursement, medical education and global research & development teams. Davis oversaw the acquisition and integration of a series of extremities and biologics platforms during Wright’s transformation into the market leader in the extremities market segment. Prior to joining Wright in 2006, Davis spent 10 years in the life sciences venture capital field, serving on the boards of multiple biotechnology and medical device companies while at MB Venture Partners and Vector Fund Management. He holds an MBA from the J.L. Kellogg Graduate School of Management at Northwestern University and a bachelor’s degree in engineering from Vanderbilt University. The NUsurface® Meniscus Implant is an investigational treatment for patients with persistent knee pain following medial meniscus surgery. It is made from medical grade plastic and, as a result of its unique materials, composite structure and design, does not require fixation to bone or soft tissues. The NUsurface Meniscus Implant mimics the function of the natural meniscus and redistributes loads transmitted across the knee joint. The NUsurface Meniscus Implant has been used in Europe under CE Mark since 2008 and in Israel since 2011. Clinical trials are underway in the U.S., Europe and Israel to verify the safety and effectiveness of the NUsurface Meniscus Implant.